Through trials and tragedy's we triumph! 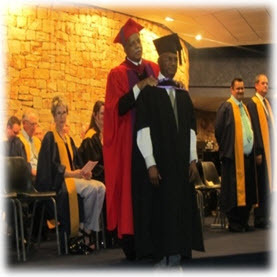 COTESA commenced in 2003 with recognition from the South African Theological Seminary (SATS) and the Baptist Theological College in Southern Africa (BTCSA). The headquarters are at the Revival Baptist Church, Port Shepstone. We have a library with almost 3000 books. The books were donated by various pastors, students and churches.